Quick-change artist: Mike Rotondo is mixing things up at Tropical Smoothie Café. In business, you change with the times or flame out. Case in point: More than a century ago, CCM was a Canadian bicycle and automotive manufacturer until it started making hockey skates with leftover steel. The brand has been synonymous with hockey ever since. IBM once made typewriters and PCs. As competitors came up with less expensive personal-computing technologies, the company had to transition or die, first to servers and IT services, and again to software and cloud services. The same rule of survival applies in franchising. Sometimes even the most trusted brands may find themselves in need of an extreme makeover to keep up with the demands of the marketplace. It’s not easy, but change offers the perfect opportunity for entrepreneurs who are willing to jump in and help a franchise redefine itself. Five years ago the bestselling flavor at Tropical Smoothie Café was strawberry banana. Today? It’s Island Green, which includes kale, spinach, mango, pineapple and banana—a combo that would have been unthinkable when the franchise concept launched in 1997. In fact, a lot has changed at Tropical Smoothie Café in recent years. 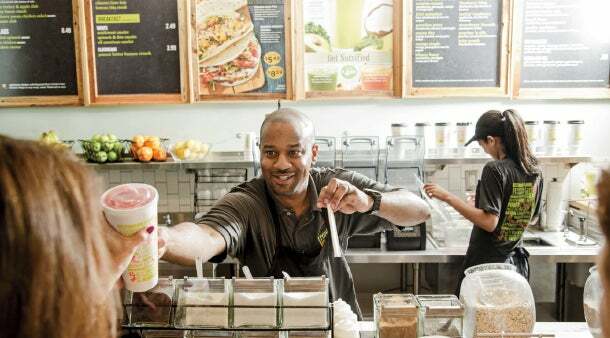 Tropical Smoothie used to distinguish itself from other smoothie and juice concepts by offering run-of-the-mill lunch options like turkey sandwiches. 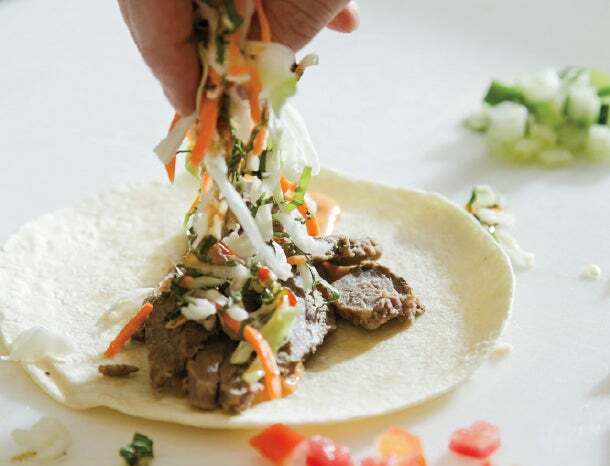 Since the reinvention of the brand began in 2012, however, it has added fish tacos with fresh pineapple and mango salsa, Thai chicken wraps and pesto flatbreads. There’s also a whole menu board of vegetable smoothies, including beet and avocado varieties. Now the company bills itself as a lunch destination and says it’s competing with restaurants like Panera Bread instead of other smoothie shops. Sales numbers show the changes are working, with double-digit growth and same-store sales up for the last 25 periods. Franchisees are also taking notice—the company is currently at more than 450 units and expects to surpass 500 stores by the end of 2015. All businesses that last more than a few years have to change with the times, whether it’s by updating technology, redesigning products, or adding or deleting items from the menu. But in some cases, technological innovation, demographic shifts or changing tastes alter the business climate so much that an entire organizational structure ends up in jeopardy. For those companies, the alternative to innovation is failure (see Kodak, Blockbuster and Radio Shack for what not to do). In the franchise world, revamping or radically altering a business model has an extra layer of complexity. There are always stalwarts who resist change and the extra costs and operational redesigns it often brings. But some franchise brands, like Tropical Smoothie, face the changing market head-on, and end up in places they never expected. Back in the early 1980s when Steve Greenbaum started putting together the mail and parcel businesses that would eventually become PostNet, he offered a customer-friendly option for shipping packages at a time when shipping with UPS or FedEx meant schlepping to a service counter in an industrial area at the edge of town. But Greenbaum quickly learned that people wanted more from his stores. That meant printing, shipping and offering new services for small businesses, such as graphic design, branding and marketing. In late 2008 PostNet launched its revamped model, transforming itself from a B2C operation to a B2B company and branding itself the “Neighborhood Business Center.” “We were the first company in the industry to have the vision to say we want to be the business behind small business,” Greenbaum says. In 2013 PostNet announced plans to add 200 new units to its current lineup of 300 stores. But Greenbaum acknowledges there have been challenges along the way. 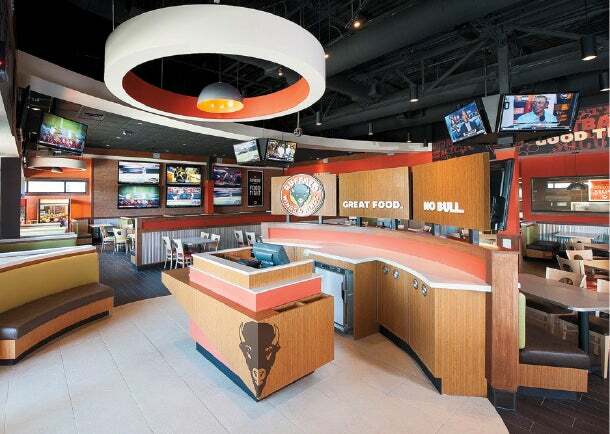 Bring the kids: Buffalo Wings and Rings scores a family-friendly vibe. To that end, Valpak has made a sizable investment in training. It runs business-consultant boot camps to get its 170 franchisees and their salespeople up to speed on changes in the tech world, as well as offering webinars and other educational options. It’s a slow process, but Vivio says the network is beginning to understand and embrace the new direction. In 2009 Nader Masadeh, president and CEO of the 60-unit Buffalo Wings and Rings franchise, had to face the future. With continued growth, there would be competition, and soon his wings restaurant would be going head-to-head with more established brands like Buffalo Wild Wings. He realized his company needed its own niche. That meant designing a new model and retrofit package with a new logo, interior design and lighting; an upgrade to dishes and silverware; and, most important, an improved menu, for which everything is hand-breaded, meat is never frozen and salads are featured prominently. So far, about half of BWR’s units have been through the retrofit. Sylvan Learning is one of the oldest after-school tutoring franchises in the country. In 2011, when students started using tablets in school, Sylvan’s tutoring methods were in need of a refresher course. But bringing tablets into its learning centers was just the beginning of the company’s modernization efforts. More impressive, the success of Sylvan Sync allowed the company to launch a new product called Sylvan Edge, an after-school enrichment program focused on robotics and STEM (science, technology, engineering and mathematics) activities, which adds another revenue stream for franchisees. At its core, it’s an acknowledgment that Panera’s laid-back bakery-café origins no longer apply. Serving more than 8 million meals per week, the company verges on the fast-food category, meaning some of its quirks, like ordering and waiting at the “scrum” near the counter, are no longer practical. Panera 2.0 completely revamps the ordering process. Customers have the option of ordering through their smartphones, the web or at tablet kiosks (technophobes can still use the counter). The new system also allows customers to pay from their mobile devices and have orders delivered directly to their tables. 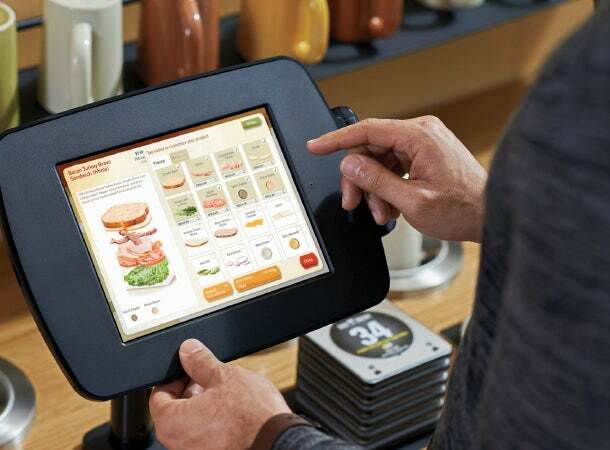 Made to order: A tablet kiosk at Panera Bread. Crossing that digital divide has led to new challenges. It turns out customers are much more likely to customize their orders on a digital platform. So Panera 2.0 requires that some employees shift from working the counter to handling quality control, making sure each order goes out correctly.